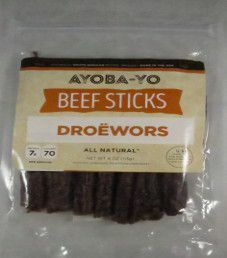 The next review for Ayoba-Yo will focus on a 4 ounce/113 gram bag of their traditional flavored beef droëwors. 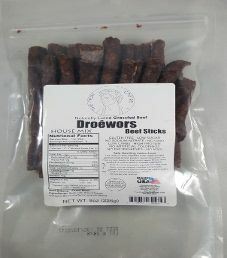 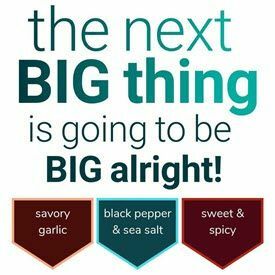 Droëwors is an Afrikaan name that translates to dry sausage, or more aptly a meat stick, and it has South African roots. 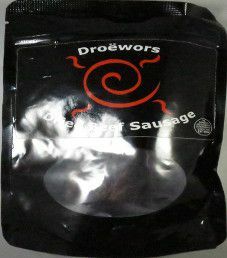 This bag was graciously submitted for review by Wian van Blommestein, a member of the van Blommestein family, who owns this brand.